Sail along the southern coastline of the African continent and experience the iconic Rovos Rail on an Africa cruise like no other. This 11-day Africa cruise takes you along the pristine shorelines of southern Africa. From the many delights of colourful Maputo and Cape Town, to the breathtaking historical treasures of Isandlwana and Robben Island, to the exciting possibilities of a Big Five safari, to the infinite pleasure of a scenic cruise, this trip has it all—even a luxurious journey on the iconic Rovos Rail from Maputo to Pretoria! So what are you waiting for? On arrival in Cape Town you will be transferred to a centrally-located hotel. In the afternoon, there will be an optional, guided walking tour of the city. In the morning, we will embark on a tour of Robben Island, which lies 7 km from the coast of Cape Town. As well as being a South African National Heritage Site, it is also a UNESCO World Heritage Site, where Nelson Mandela was imprisoned for 18 years. After a full day of adventure, we will head back to Cape Town and board the Sea Endurance. Setting sail from Cape Town in the evening, we will cruise round Cape Peninsular and during the night we pass Cape Agulhas, the southernmost point in Africa. You will adore this part of your Africa cruise. As we travel along the southern coast of South Africa on this Africa cruise, we may be fortunate enough to see dolphins and/or Bryde’s whales, which are sighted all year round. Arrival in Durban, South Africa’s second-largest city, and located on the coast. On this day, there will be a choice of two different excursions. Option 1 is the Battlefields Tour: a chance to explore the historic battlefields of Isandlwana, where the British and Zulu clashed resulting in a famous Zulu victory during the Anglo-Zulu War, and Rourke’s Drift, the scene of an epic defence of a small outpost by a handful of British soldiers against several thousand Zulu warriors. We spend the night in the area, and after a morning excursion, we return to meet the ship in Richard’s Bay. Option 2 is the Big Five Safari: there will be a chance to adventure and overnight at Hluhluwe-Imfolozi Park. The oldest proclaimed park in Africa, it features all members of the Big Five, and we will enjoy both an evening and a morning game drive. After the morning game drive and breakfast, we will head to Richard’s Bay and back to the Sea Endurance to continue our journey. 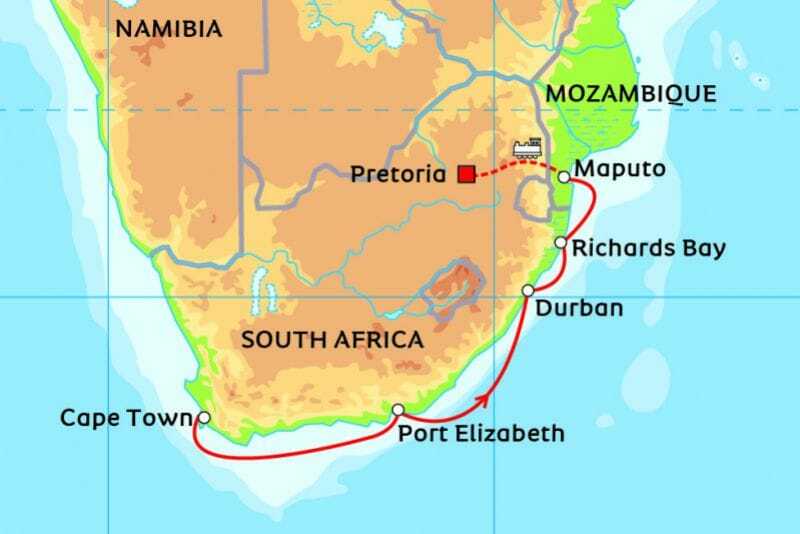 After re-joining the ship we continue along the beautiful coast to Maputo. We expect to arrive in Maputo in the evening. Depending on our exact arrival time, there may be a chance to disembark in the evening to explore this vibrant city. 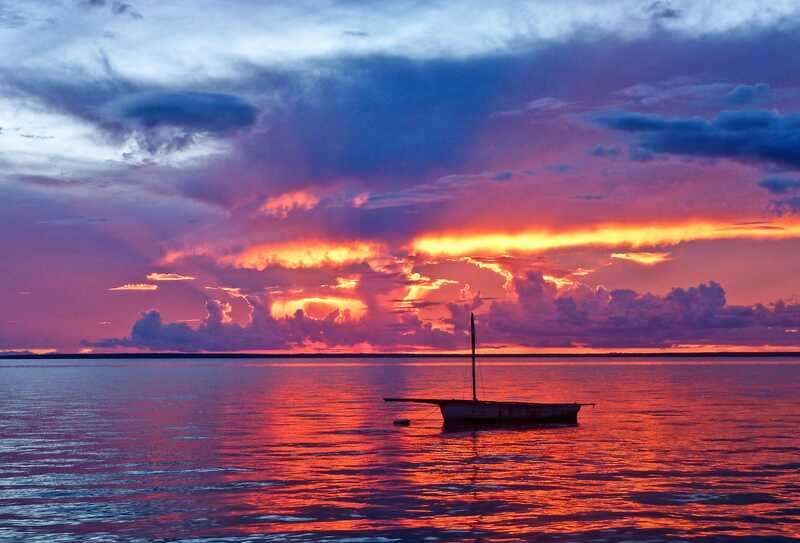 The day will begin with a delightful city tour of Maputo, Mozambique’s capital. From the historic harbour we will pass the beautifully-designed train station, as well as Casa do Ferro (the Iron House) a masterpiece designed by the one and only Gustav Eiffel. 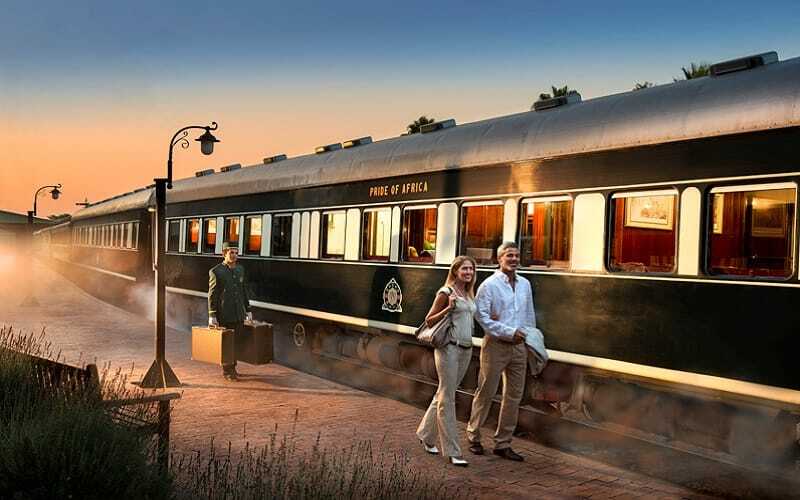 We will enjoy lunch in a local restaurant before continuing to back to the train station, where we will board the famed Rovos Rail, the most luxurious train in the world. During the day we will enjoy the passing panoramic views from the comfort the train cars (either your own car or one of the public cars), while enjoying the unsurpassed luxury of the Rovos Rail. We expect to arrive in Pretoria and Rovos Rails’ own private station around midnight, so we will spend a second night on this exclusive train. After breakfast, there will an optional city tour of Pretoria. After our farewells, we will transfer you to O. R. Tambo Airport for your flight home, or transfer you to your optional safari extension. 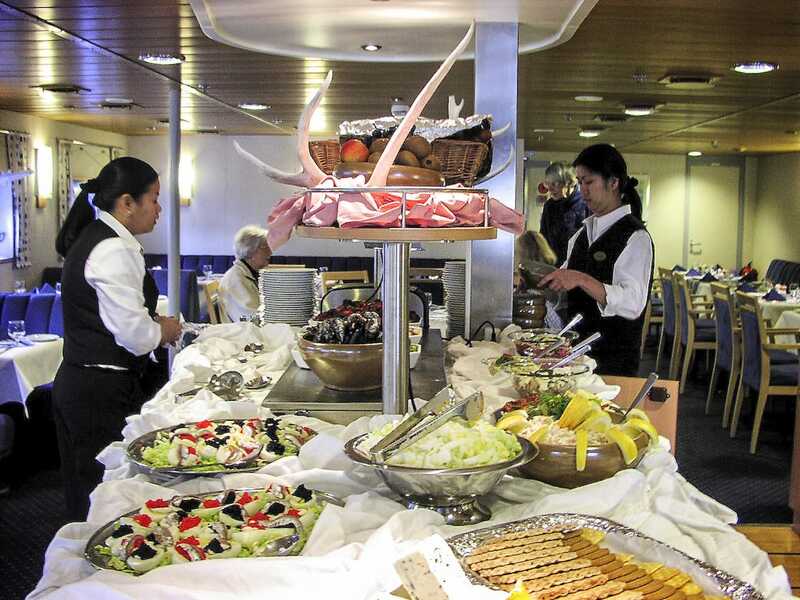 Originally built for sailing in the icy waters of Greenland, this ship offers an informal and relaxed atmosphere. The Sea Endurance has a double bottom and central steel keel. 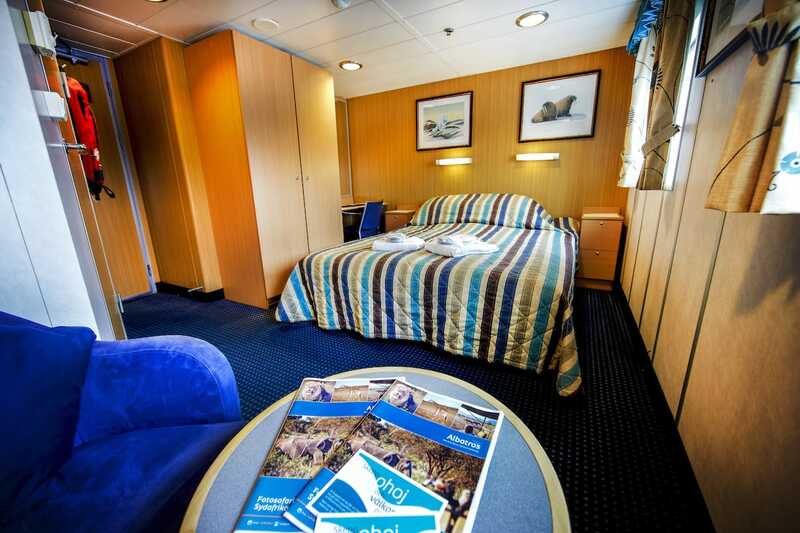 It was built in 1992 in Denmark and refurbished in 2005 that included the addition of a new panorama lounge on the top deck and 26 cabins providing views of the sea. 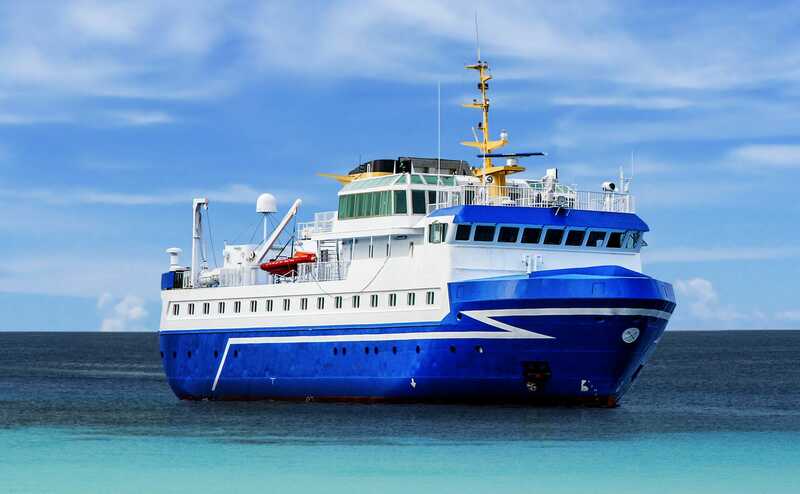 The vessel can accommodate 53 passengers in 26 bright, outside cabins appointed with single or double beds and private en-suite toilet and shower facilities. 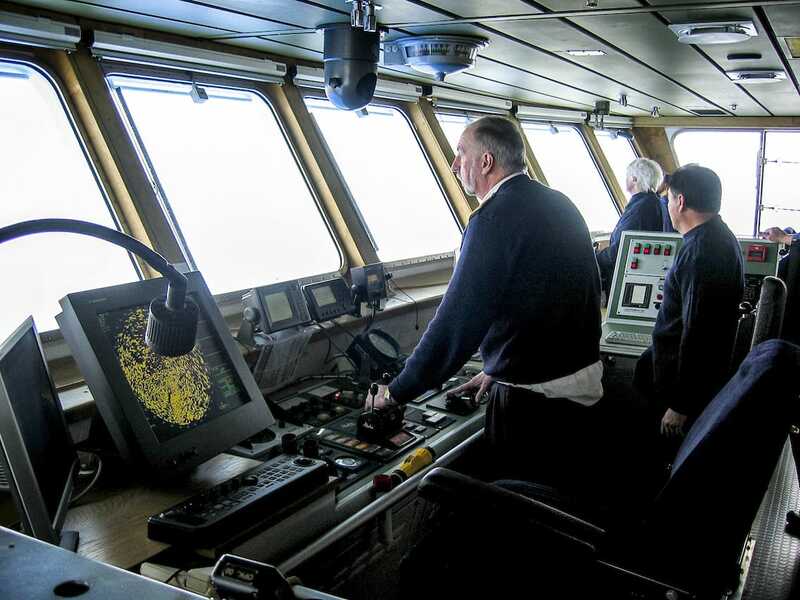 The ship carries a fleet of five Zodiac rafts for whale watching and shore landings in isolated areas. We are proud to present an excellent team of zoologists, marine biologists, ornithologists, historians and even a sommelier. Here are some of them. Welcome on board! Conrad was born in Johannesburg, South Africa. He has always had a passion for the outdoors and holds a BSc (Hons) in Zoology on marine intertidal invertebrate ecology from the University of KwaZulu-Natal in Pietermaritzburg. He joined a safari company in 1994 and helped set up lodges, ran and designed safaris before dedicating seven years to guiding in Botswana. He currently leads safaris and expeditions on the whole continent and offshore Madagascar and other Mascerene islands through his own safari agency. However it was in 1999 when “Y2K” panic was rife that Conrad thought the world was going to end and he decided that Antarctica would be the place to see the world end. Incredibly, it did not and since then Conrad has been traversing the polar worlds, from North to South; guiding, lecturing, leading and enjoying the ice. Conrad enjoys sharing true wilderness areas with his guests, whether it be the Arctic, Antarctic or Africa. David van Niekerk was born in 1963 in Cape Town, South Africa, he has always been drawn to the sea. He started his working career in investment banking with the First Rand Group and after 14 years decided that there is more to life than occupying a small office and started to build his own wine cellar, High Constantia, in 2000. David’s new career of wine making started and since then he has planted and managed 14.5 hectares (31.9 acres) of vineyards in the Constantia Valley, the first and oldest wine producing area in the Southern hemisphere. High Constantia`s sparkling wine, Clos Andre, has been chosen to represent South Africa at the Tri Nations tastings as well the red and white wines which were presented amongst some of the top wines in the world during First Growth tasting held in South Africa. He is a keen yachtsman, sailing keel boats and multi hulls, having competed in sailing regattas nationally and internationally. David has spent much time fishing, spearfishing and diving in the Atlantic and Indian Oceans. More recently, he lectures on wine and skippers Zodiacs. Merel completed her PhD in Ecology and Evolution in 2002, specialising in rare beaked whales (Ziphiidae). She subsequently spent several years studying these enigmatic animals off eastern Canada, before returning to Australia in 2005 to continue her work on Southern Ocean cetaceans. In 2009, when she recognised that her true passion lay in reconnecting people with nature, she re-trained as a wilderness guide focusing on environmental education and trekking. She continues to do whale research as time allows, and recently discovered a new beaked whale in the tropical Indo-Pacific Ocean (Dalebout et al. 2014). She travels extensively, has led trekking trips in Australia, Madagascar, and Ethiopia, and works as a small expedition ship guide in various parts of the world. She combines her enthusiasm and passion for the world’s wild places with a burning curiosity to know all she can about them. Her approach to life is neatly summarised by the quote, “Live as if you were to die tomorrow, but learn as if you were to live forever”, Gandhi. Steve Boyes works to preserve and protect Botswana’s uniquely pristine Okavango Delta and mitigate threats bringing parrot species to the brink of extinction throughout Africa. He is the scientific director of the Wild Bird Trust. Having dedicated his efforts to the preservation and protection of parrot species throughout Africa, his findings caused a moratorium to be placed on importation of African grey parrots into South Africa, a global victory for the wild-caught bird trade. Boyes’s most ambitious undertaking lies in planting trees and mounting nest boxes for Cape parrots and the forests they depend on. He works closely with local communities to plant and nurture thousands of seedlings on their land; then he buys them back and replants them to replenish decimated forests. Who would ever have imagined that sharing experiences about motorcycle journeys at university would lead to a career in storytelling? Rob started his own business in 2011 as a Professional Speaker and Specialist Tour Guide, after working with the late David Rattray from 2001 on the Anglo Zulu battlefields, where he honed his talent for storytelling. He has a degree in Agriculture and started his guiding profession as a photographic safari guide and wildlife filmmaker in Botswana’s Okavango Delta. His expertise in this field earned him a place as official photographer on Kingsley Holgate’s Africa Odyssey expedition in 1993 along the waterways of Africa from Cape to Cairo. Since 2004, he has presented extensively in the UK and South Africa to both corporate and private clients. His achievements were recognised by being invited to speak at the Royal Geographic Society in London to full houses in September 2010 and again in September 2012, when I was invited to showcase my talk ‘Going South with Scott & Shackleton’ fulfilling my lifelong passion with Antarctica. He has regular engagements at conferences and seminars, as an after dinner speaker, specialist lecturer on cruise ships and at charity events. All of which make for a wonderfully fulfilling vocation. Andy grew up in rural areas, immersed in the diverse local cultures, and has an in-depth understanding of the traditions and mythologies of his fellow Africans. Andy has experienced a wide variety of indigenous cultural rituals and lifestyles, spending time living with the Khoi San, experiencing Zulu rites of passage, and participating in Xhosa ceremonies. His role as a documentary film presenter has enabled him to sensitively explore some of the most intimate of cultural ceremonies. Andy has a higher diploma in Nature Conservation, has attended Wits Business School New Managers Programme. His experience in IDC as a community horticultural researcher and in community conservation development for Wilderness Safari, has deepened his knowledge and awareness of the challenges of rural development in South Africa. He is a published author and field editor of the monthly Complete Fly Fisherman magazine. He works as a fly-fishing guide, turtle researcher, fisheries biologist, and National Geographic presenter on “Safari Live” “Catching Giants” and “Africa’s Piranhas “for Smithsonian and Discovery channel. He is also an avid diver and has free-dived and scuba-dived with whale sharks, sharks, turtles and whales. John has been passionate about wildlife for as long as he can remember. He has been fascinated by what lies below the waves since his mid-teens when he qualified as a PADI Open Water diver at age fifteen. His passion for scuba diving continued to grow and he now holds active Dive master status with NAUI. He has logged hundreds of dives in the waters of the Indian Ocean from Cape Agulhas, up along the east coast of South Africa, through Mozambique and some up the coastline of Kenya. The marine fauna and flora of this region is truly breathtaking and he looks forward to sharing his knowledge with you. 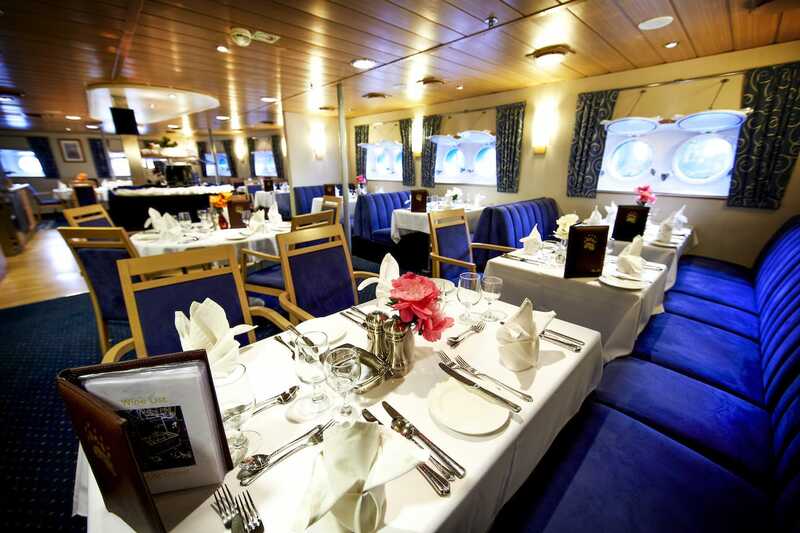 Please contact us for the prices of the categories and cabin options. This tour begins in Cape Town, South Africa, and ends in Pretoria (near Johannesburg).